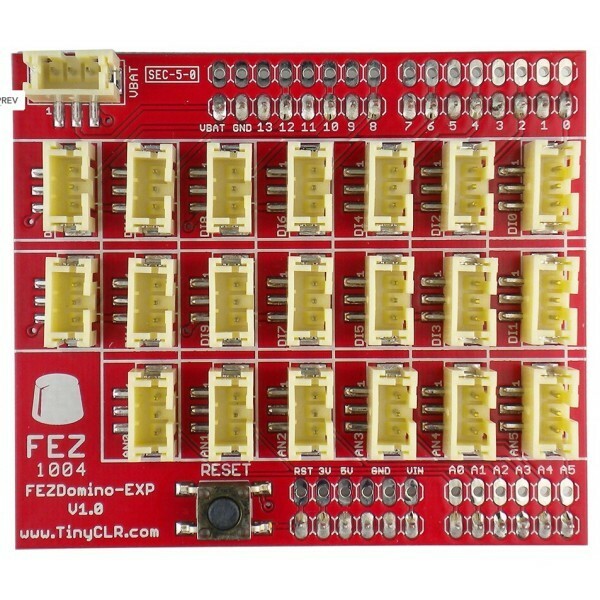 This is the component shield for FEZ Domino. 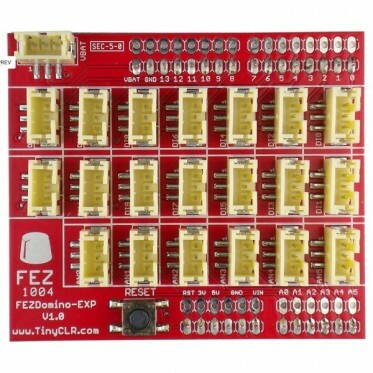 Just like our Arduino IO Expansion Shield, you can easily connect sensors, buttons to this component shield. This shield is also compatible with Arduino.